Classic and comfortable earplugs, with a wonderful sound, small and compact appearance, easy to carry, it is your best choice for travel and work. It creates excellent sound insulation, minimizes external noise and provides you with high quality sound. Compatibility: iPhone, iPod, iPad, Android smartphones and tablets, MP3/MP4 players, PCs, laptops and more portable music players. Key settings: answer/hang up the middle button once call key. Play/Stop Music Press the middle button. Press the middle button twice for the next track. Press the middle button three times in the previous track. Use the [+] [-] volume buttons to control the volum. Adopt CVC version 6.0 noise cancellation technology to ensure Clear and Loud sound quality and Strong bass. Advanced noise isolation technology to provide you with immersive enjoyment. Multifunction button - 1 Click: Play, Pause, Answer Call, Disconnect Call, 2 Click: Next Track, 3 Click: Previous Track. The built-in hands-free microphone allows you to easily enjoy uninterrupted music, as well as anytime, anywhere calls. 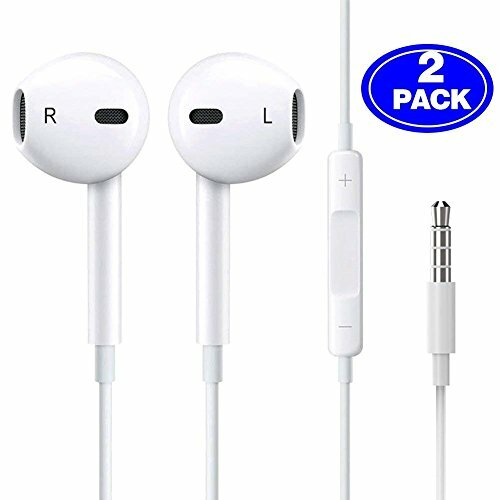 Suitable for iPhone, iPad, iPod, Samsung Galaxy, Windows smartphones and tablets, MP3/MP4 players, PC computers and laptops. Classic and ultra lightweight design - Give you long-time comfortable wearing experience. It is the best choice for work, travel and rest. If you have any questions about this product by SANYEYE, contact us by completing and submitting the form below. If you are looking for a specif part number, please include it with your message.